IVAO Indonesia proudly present our event in October. 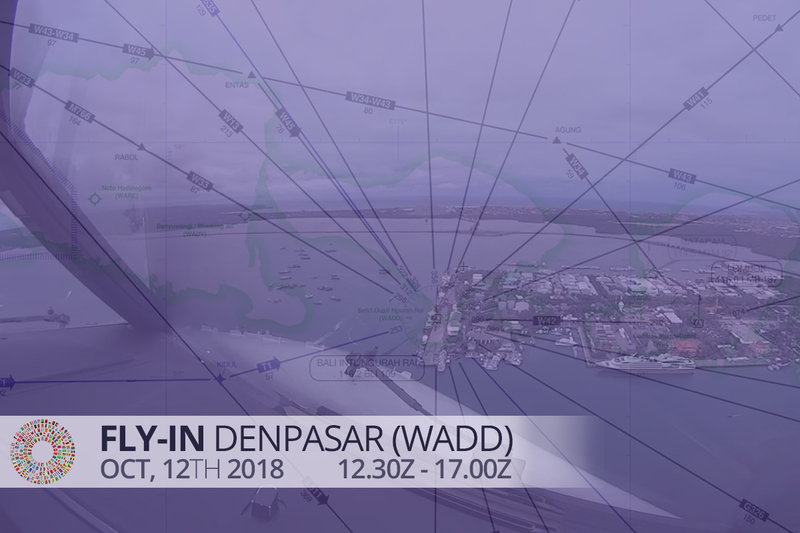 In regard to flights to Bali under the Annual International Monetery Fund (IMF) 2018, We tried to simulate real activities. As we know, there will be many types of VIP aircraft and we recommend using a private jet/bussines jet when entering Bali. So, In this event All pilots & atcs on duty must read this forum carefully. Aircraft Type for this event is Medium or Heavy aircraft (bussines/private jet). Pilots must be arrive between 1300z - 17z. Callsign for pilots is up to you. You must report your flight on MODA IVAO Indonesia. All pilots must comply ATC Instructions and required to filling the flightplan correctly. At the time of the ATC duty is not yet online, their position can be filled by another ATC ready. Had a good basic ability in controlling the traffics. A Staff can ask you to Leave the position when you are not capable of controlling. Pilots that following rules, and execute flightplan correctly will get +1 points for Pilot Event Award. ATC duty at least 2 hours online will get +1 point for ATC Event Award. Pilots & ATC get 1 point for Online Day Award. "Plan your Flight, Flight Your Plan"
Happy Landing! Enjoy the Event!